We'll be covering live the scheduled Sprint-Motorola press event today in New York City, which starts at 12:30PM ET. Sprint's CEO Dan Hesse and Motorola's Sanjay Jha will be revealing something for which the companies eagerly sent out invitations about two weeks ago. The rumor mill is actually suggesting two devices to be revealed today. The brand new gear could be the alleged Motorola Photon 4G, with 4.3" qHD display, dual-core 1GHz NVIDIA Tegra 2 chipset, and WiMAX connectivity. The other gizmo that might be announced is a WiMAX version of the first brand-name Android Honeycomb tablet - the Motorola XOOM. We'll certainly know more in just a few hours, so tune in around 12:30PM ET for our live coverage of the Sprint-Motorola event. Unlocked bootloader please!! When will you hear customers? Well, we already know Motorola is going to start unlocking the bootloaders on their phones. We just don't know when. And while full Blur isn't the best skin, new Blur (what new Verizon Android phones have) is fantastic. I like new BLUR also, makes phone looks more porfessional, not like before they looked like kids phones! Finally an android phone from Motorola on Sprint!!! Should be similar to Atrix and Bionic. I wonder if there will be a webtop computer. There are tons of really nice accessories available for the Atrix. Also the i1! But that's Nextel so it kind of doesn't count. I think the Motorola phone for Sprint will be a solid one. Heres a quick summary. 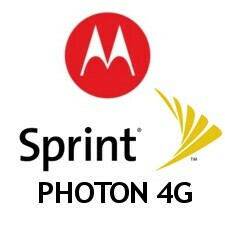 Motorola is going to release more defective junk on Sprints network with a life expectancy of 31 days. Fin. Motorola is job security for Tech Support agents.